Same as above except with SO-239 connectors. 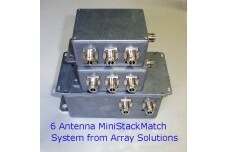 In the picture are shown two Mini StackMatches of three antenna ports and the bottom box is a two-port Mini StackMatch. The two port will feed the three antennas Mini StackMatches to have a total of six antennas with equal power distribution. 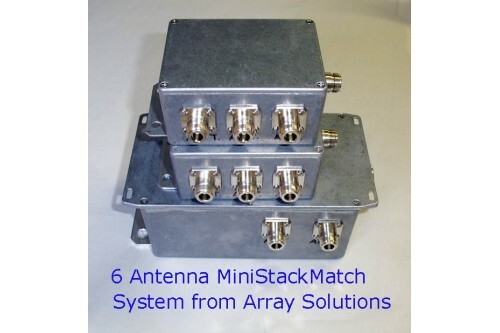 This device is basically the StackMatch without the ability to do any switching of antennas. It is a fixed transformer device in a die-cast aluminum weather resistant case. It will provide phasing to two or three 50 ohm antennas without the ability to switch the stack like the standard StackMatch product. 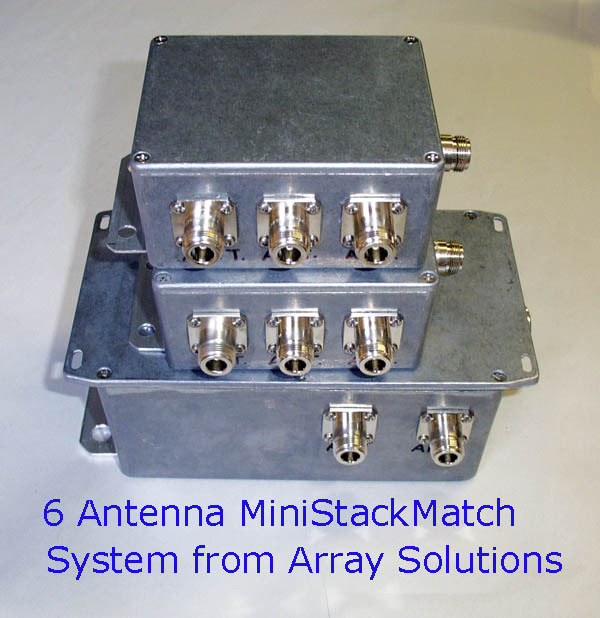 They can be combined to allow stacks of 2,5,6,and 9 antennas. Two Feed line Option allows a second radio to use one antenna from a stack of antennas when needed.